For six weeks you spend four hours a day in a crowded lecture hall hearing about the respiratory and cardiovascular system. More than 40 different experts lecture to you and your classmates, cycling through thousands of dense PowerPoint slides. Some lectures are more interesting than others but there’s little consistency or continuity. The class is mostly not engaged. All around you, students are texting, checking Facebook, or studying from other online resources. Some students have decided to skip lectures all together. The lecture-based approach has been the medical school standard for generations. However as medicine and health care continue to evolve, the nature of medical education is also changing. Schools around the country are crafting learning environments that deliver value to students by promoting higher levels of learning and professionalism, which ultimately lead to better patient care. As education shifts toward team- and case-based learning, faculty must adapt to become proficient in new modes of education—including online content, small-group facilitation, and understanding generational differences to name a few. Medical schools have an obligation, rooted in their missions, to train educators and make sure they are prepared for this changing landscape. To keep up with emerging trends in education, medical schools across the country, including the University of Utah, are adopting new methods. Currently, our medical school has nearly 400 faculty who work primarily as doctors but deliver lectures in their area of expertise. With such a large faculty it’s challenging to effectively plan, deliver, and continuously improve a curriculum. Our new approach—the core educator model—designates a smaller core of faculty to receive ongoing training as educators. Instead of having 40 faculty giving lectures on the respiratory and cardiovascular system over a six-week period, for example, a core group of 12 faculty trained and focused on the latest innovations in education would lead interactive learning. The core educator model creates an opportunity for a significant group of faculty to acquire new skills that will promote excellence in education. Learning how to be an educator is not part of medical training. Just because we know the content doesn’t mean we know how to effectively impart that to others. The core group of educators will be invested in getting training on how to deliver more advanced and flexible modes of learning. As faculty become aligned professionally as educators, we expect they will have more opportunities to disseminate their work in education journals thereby demonstrating excellence for academic promotion. A sharper focus on scholarship and education will allow our education enterprise to study outcomes, becoming evidenced-based in education as we are in our science, research, and clinical care. This approach allows us be confident that we are sufficiently preparing students to enter professional practice. Students participate in interactive, small-group learning. As medical education evolves past passive strategies and towards active approaches, we aim to foster growth. The core-educator model will help us be nimble and adapt to the needs of students and the ever-changing science of medicine. It will assist the development of a learning environment that is supportive, encouraging, motivating, and inspiring. Our medical school is large enough that regular contact with faculty can be a challenge. Having a dedicated core group of faculty alleviates some of the unknown in medical training. Students will know exactly who they should go to for mastering a specific topic or skill. They can develop more meaningful relationships with their faculty, which in turn cultivates highly effective student-faculty mentorship experiences. With our organizational commitment towards value, we must apply the same high standards of excellence towards education. 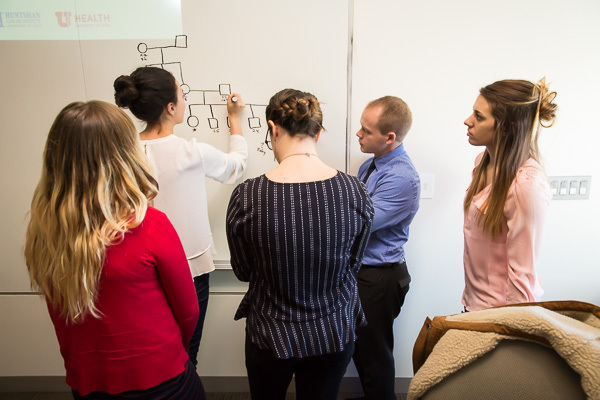 The core educator model represents an investment in our faculty and students to maintain excellence in the education we deliver at the University of Utah School of Medicine and to be well positioned for future developments in education. 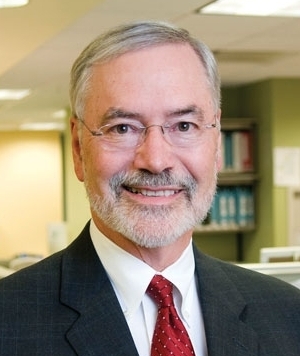 Guest blogger Lorris Betz is currently serving as interim senior vice president for the University of Utah Health Sciences, CEO of University of Utah Health, and executive dean of the University’s School of Medicine while the University conducts a national search for this position. Dr. Betz previously served in this capacity from 1999-2011 and served as interim president of the University of Utah twice during his career.